Improve business profitability with real-time analytics on your key operating metrics. The Internet of Things, or IoT, uses sensors and meters to connect physical devices to the internet, and in doing so, collects valuable data that can help your business become more efficient. 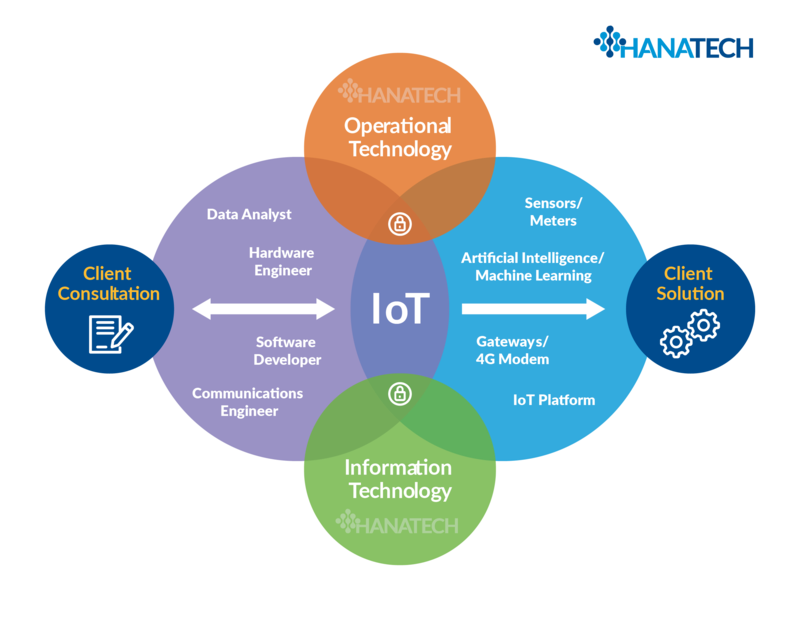 Hanatech is using their advanced skills and experience to bring IoT solutions to life, improving business profits. Gain real-time insights from connected assets using our secure, user-friendly OneSmartView dashboard – customized for your business. Minimize asset failure with alerts and controls to better schedule regular maintenance. Monitor your data to mitigate risks and improve worker productivity. Reduce operating costs by improving energy consumption based on real-time requirements, no longer straight run-time, and minimize wasted resources. We integrate sensors and meters on key devices, collecting & storing data. Our cloud-based dashboard presents data in user-friendly charts, highlighting opportunities. Through a combination of monitoring and controls, your business become more efficient. We heard a lot about IoT in our industry and knew our business was ripe for a solution. After scanning the market, we partnered with Hanatech, who brought our vision to life in a tangible way. Whether you are building a new property or retrofitting an existing one, our Smart Buildings solutions deliver a range of profit improving benefits. Adapted to the unique needs of each industry, your custom dashboard let’s you monitor and control key machine or system devices. We use a combination of field sensors and agricultural data points to gain a holistic perspective that will help improve crop production and yield. 25% of Fortune 2000 corporations list IoT as their #1 priority, yet 90% of them indicate they lack the skills to deploy a solution. Fortunately, Hanatech has all the skills you need, so let’s talk.